Biology, Engineering and Medicine is an open access, peer reviewed journal on all aspects of biomedical engineering published bimonthly online that can directly inspire or lead to improvements in human health or healthcare. Journal emphasizes on current concepts in the broad field of Biomedical Engineering including designing instruments, devices and software; bringing together knowledge from many technical sources to develop new procedures; and conducting research needed to solve clinical problems- with particular emphasis on bioinformatics, bioinstrumentation, biomaterials, biomechanics, bioMEMS, Nanobiotechnology, Lab-on-chips, Organ-on-chips, Micro and Nanobiosensing strategies, Nanofabrication, Nanoelectronics, biosignal, processing, computational genomics and proteomics, biotechnology, cellular, tissue, and genetic engineering, clinical engineering, medical imaging, biomonitoring, microtechnology and nanotechnology, neural systems and engineering, health care engineering, orthopedic bioengineering, biochemical engineering, rehabilitation engineering, robotics in surgery, systems physiology and drug delivery bioelectrical engineering. Manuscripts may take the form of original empirical research, critical reviews of the literature, brief commentaries, perspectives, opinion, meeting reports, case reports, innovations in clinical practice, letters and drug clinical trial studies. Copyright is retained by the authors and articles can be freely used and distributed by others. Articles are distributed under the terms of the Creative Commons Attribution License http://creativecommons.org/licenses/by/4.0/), which permits unrestricted use, distribution, and reproduction in any medium, provided the original work, first published by Biology, Engineering and Medicine, is properly cited. Steven C. Batterman, Ph.D, engineering consultant and Professor Emeritus, University of Pennsylvania, is an internationally recognized authority on applied mechanics, mechanics of solids, biomechanics, forensic engineering and accident reconstruction. He received his B.C.E. from The Cooper Union School of Engineering in 1959 and continued his education at Brown University where he received his Sc.M. (Engineering) in 1961 and his Ph.D. (Engineering) in 1964. From 1964 to 1997, he was a continuous full-time faculty member at the University of Pennsylvania where he served as a professor in the School of Engineering and Applied Science (Department of Mechanical Engineering and Applied Mechanics, Department of Bioengineering) with secondary appointments in the School of Medicine (Department of Orthopaedic Surgery) and in the School of Veterinary Medicine (Professor of Biomechanics in Veterinary Medicine). During his tenure at the University of Pennsylvania he engaged in pioneering research, as well as undergraduate and graduate course development, in solid mechanics, plasticity, viscoelasticity, plates and shells, bioengineering (including biomechanics, orthopaedic biomechanics, dental biomechanics), and forensic engineering. 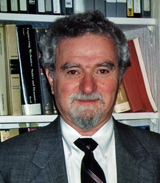 In 1997 he retired from the University of Pennsylvania as a Professor Emeritus of Bioengineering (Biomechanics) and a Professor Emeritus of Bioengineering in Orthopaedic Surgery but actively continued as a consultant and doing research in forensic engineering, biomechanics and accident reconstruction. He has made fundamental research contributions in numerous areas which include, but are not limited to, plastic buckling, stress analysis, development of rate equations for plates and shells, plasticity, thermoplasticity, biomechanics, injury mechanics, failure analysis, and mechanics of adhesion. His areas of expertise in forensic engineering include accident reconstruction, occupant kinematics, vehicle dynamics, biomechanics, mechanics of human injury, crashworthiness, restraint systems, products liability, safety engineering and human factors. He holds numerous honors and awards, has lectured internationally, has published extensively, is the holder of two United States patents, and is the first engineer in the world to be elected President (1994-95), and a Distinguished Fellow (2001), of the American Academy of Forensic Sciences. As founding Editor-in-Chief, it is my great pleasure to welcome you to our new OAT (open access text) journal, Biology, Engineering and Medicine (BEM). BEM is a bimonthly journal devoted to publication to research and current developments in the scientific interfaces between the fields of biology, engineering and medicine. Our scope of publication is extremely broad and is intended to cover the fields known worldwide by various names such as biomedical engineering, or bioengineering, or biological engineering, or human engineering, and their various subfields. Subfield coverage includes, but is not limited to, biomechanics, tissue engineering, biomaterials, cellular mechanics, artificial organs, injury biomechanics, medical instrumentation, bioelectronics, forensic bioengineering, and any novel research and application area related to the interfaces between biology, engineering and medicine including health care delivery. Additional subfields are listed on the BEM web site. Potential authors should interpret BEM’s scope of publication as noted herein and as listed on the web site in a very broad and liberal manner. If authors have any questions concerning the suitability of a manuscript topic for publication they should feel free to contact me directly (batterman@aol.com) or the editor (editor.bem@oatext.com). BEM is fortunate to have a distinguished Editorial Board of internationally respected researchers who will ensure that all manuscripts submitted for publication receive a prompt peer review. Manuscripts will be reviewed by appropriate editorial board members as was well as other international authorities who have expertise in the field of the manuscript. Peer reviews of a manuscript will ensure that all manuscripts accepted for publication are of the highest quality. In addition, it is our plan to periodically have special issues of BEM devoted to one or more of our subfields, and articles for such issues will be solicited worldwide from respected researchers. This is a very exciting time for BEM since it comes at a time when biomedical/bioengineering research and development are burgeoning throughout the world. Our entry into free access, online, biomedical research publication enormously expands the audience that BEM reaches well beyond that of traditional print journals, and does so in a time frame with a publication frequency that print journals cannot match. We look forward to receiving the results of your research which will contribute to making BEM the premier journal in its field. 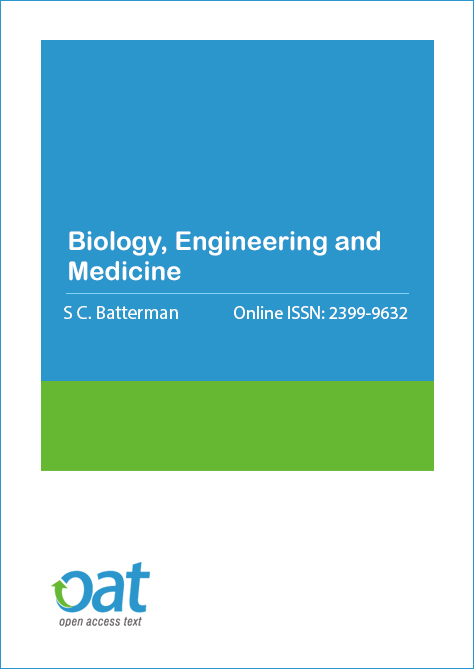 Biology, Engineering and Medicine is an Open Access journal and we do not charge the end user when accessing a manuscript or any article. This allows the scientific community to view, download, distribution of an article in any medium, provided that the original work is properly cited, under the term of "Creative Commons Attribution License". In line with other open access journals we provide a flat fee submission structure on the acceptance of a peer-reviewed article which covers in part the entirety of the publication pathway (the article processing charge). The process includes our maintenance, submission and peer review systems and international editing, publication and submission to global indexing and tracking organisations and archiving to allow instant access to the whole article and associated supplementary documents. We also have to ensure enough investment to secure a sustainable model which ethically, legally and financially stable. The publication charges for Biology, Engineering and Medicine are GBP 1190. Description of the Special Issue: The BEM Special Issue: "Assisted Exercise" will provide a wide variety of in-depth knowledge about managements of disorders that directly or indirectly affect skeletal muscles in older people and in all the diseases that present "premature muscle aging". It is designed to inspire and inform the reader about the science and art of aged muscle care, with special reference to research and development of technical aids and clinical protocols of rehabilitation supporting/recovering weak skeletal muscles. The strengths of this BEM Special, covering severe and sometimes neglected diseases, will be the multidisciplinary approaches that characterize the journal Biology, Engineering and Medicine. The goal is to assist all members of research units and healthcare teams (Biomedical Experts, Engineers and Medical care staffs) in researching, developing and implementing interventions to postpone/recover mobility disabilities by means of "Assisted Exercise". Hopefully, it will be an innovative, comprehensive, and educational tool for international junior doctors and others healthcare providers of elderly patients and other persons with mobility impairments. &COPY; 2017 Copyright OAT. All rights reserved.